JFK’s words still ring true. They were spoken at the America’s Cup Dinner Given by the Australian Ambassador, September 14, 1962. 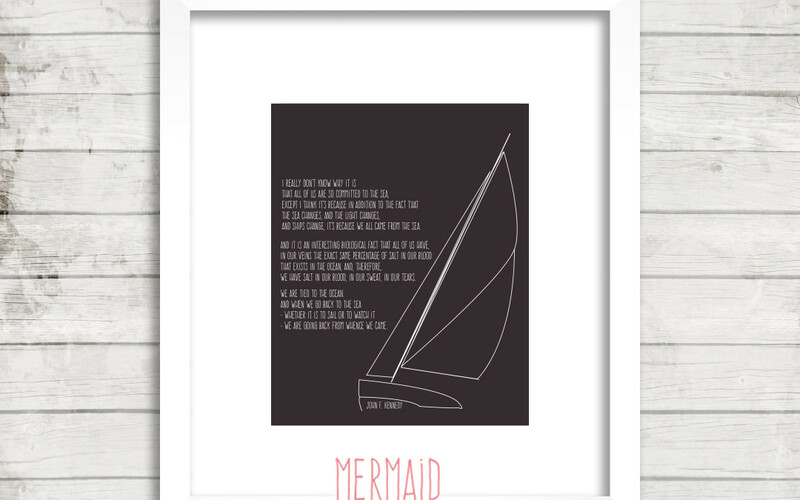 Hearing his voice speak these words in the Super Bowl commercial for Carnival Cruise Ships prompted me to include a print featuring a contemplative Mermaid and resting on JFK’s Tied to the Ocean quote. There are two versions featuring a partial and full quote. 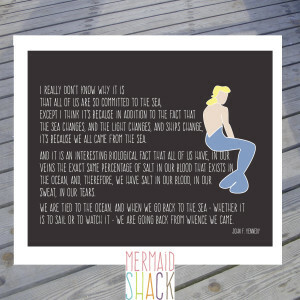 Sometimes we can’t see the ripples in the waves and it took a customer asking for an image other than a mermaid with the quote. 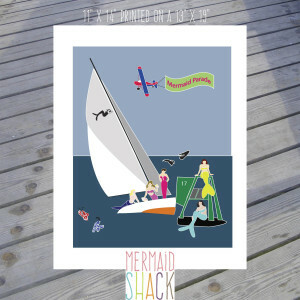 I created this print including the a sailboat that I had drawn for my FIGAWI print. In the process of this creation, I remembered how proud Dad was when the JFK artifacts were being stored at his GSA depot while the JFK library was being built. Well that is a different set of Ties. I have embedded the YouTube video in this post so that you too can hear President Kennedy speak these words. Thank you Carnival Cruise for creating this ad. and ships change, ii is because we all come from the sea. We have salt in our blood, in our sweat, in our tears. 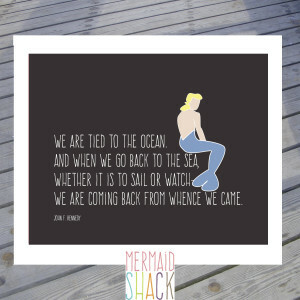 -we are going back from whence we came.